Yesterday the NZ Herald reported a study finding faster melting of Arctic and Greenland ice. The scientific team thinks global sea levels could rise by as much as five feet (1.5 metres) this century. The melting of Arctic glaciers and ice caps, including Greenland’s massive ice sheet, is projected to help raise global sea levels by 90 to 160 centimetres by 2100, AMAP said, although it noted that estimate was highly uncertain. The report of the Arctic Monitoring and Assessment Program (AMAP), the scientific arm of the eight-nation Arctic Council, says Greenland was losing ice in the 2004-2009 period four times faster than in 1995-2000. Lest we lose our heads yet again, we ought to remember that recent strong Arctic sea ice melting has been put down to warm ocean currents, not a warming atmosphere. In any case, “global warming” is considered responsible for just 0.6°C over about the last 100 years, and that won’t raise those frigid Greenland temperatures enough for ice to melt. If the Greenland ice sheet is losing mass, we need to ask why. Being land-based, it’s not eroded by warm ocean currents. And it sure as anything isn’t because of rising air temperatures, because they’re not rising. The Greenland ice sheet from space. Covered with snow, the ice is thousands of metres deep in places and thousands of kilometres in extent. If the temperature only rises about one degree Celsius, this ice sheet will stay put for a very long time. I take anything published by the Herald with large doses of salt as it has the nasty habit of picking the climate scares it wants to promulgate and ignoring everything non-warmist. 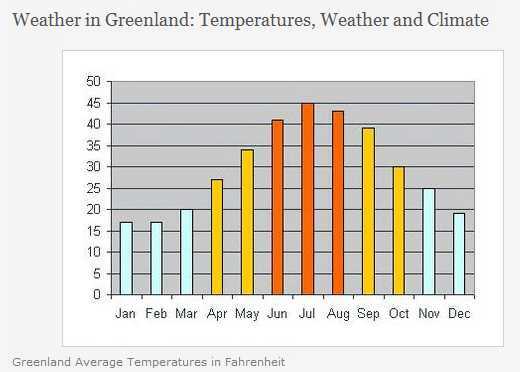 The Greenland ice science is much more complicated and obscure than this article suggests. ‘Nullias in verbia’ seems to be good advice for this little tale. Lot’s of modeling, advocacy and “a great deal of uncertainty”. Richard, you are no doubt aware of the brilliance of modern Renaissance Man Willis Eschenbach who frequently posts on WUWT. He discussed the habit of climatologists to rely on unproven and frequently eror-riddled models in a recent post on WUWT titled ‘Models All the Way Down’. An essential read for anyone interested in climate science, particularly Herald copy-cobblers and other cut-and-paste merchants of doom! “But it focused attention on what drives climate change: the carbons pumped into a warming atmosphere by our profligate use of fossil fuels”. Apparently there are no other possible drivers and the measurement the last decade of atmospheric temperature have been reading low. An aside note: when I typed in “Herald article”, a Herald article history search box came up in a new browser tab with a list of CCG relevant headlines. First time this has happened – new feature Richard T? Thanks Alexander, due to some long work hours at present I don’t have the luxury of covering all the bases. I’ve also had my head tied in knots over the atm heat capacity – heat content in respect to additional CO2 and WV thanks to Huub Baker. i.e. If the required temperature is not being observed in critical pressure regions, he’s wrong. Can we put O’Herald’s Murphy in a glass of water….. and add a BUNCH OF ICE.. When the ice melts, the level will not have changed. So, we go from season to season and so on. But it means nothing. O’Herald’s (Sans the Hortons [whatever their perceived faults] ) Bell, Munro, Hintz, Hardingham, Chappell, and the living P.J.Scherer will sleep easier. Meanwhile Poland is experiencing very cold weather. “I’m not sure what is more alarming, the glacial pace of Congress to reduce carbon pollution or the astounding rate of melting Arctic ice,” Lou Leonard, climate chief at the World Wildlife Fund, said of the new report. I wonder what role the WWF had in putting together this article? They seem to pop up all over the place. Louise Gray of the Telegraph basically regurgitates WWF press releases. is the Herald any different? The AP article is BS (e.g. Japan Today). The AMAP report said melting glaciers and ice sheets worldwide have become the biggest contributor to sea level rise. 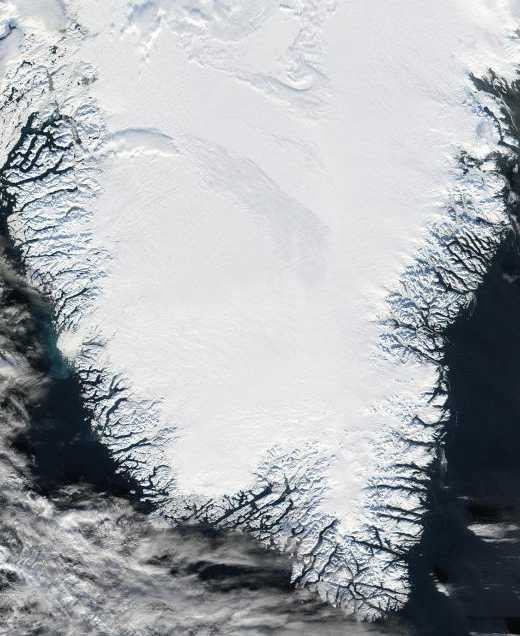 Greenland’s ice sheet alone accounted for more than 40 percent of the 0.12 inches (3.1 millimeters) of sea-level rise observed annually between 2003 and 2008, AMAP said. BS. The 3.1. mm trend is 1993 – present, but the trend from 2003 – 2008 is 1.8 mm per year and 2009 – present is 2 mm per year. There will have to be some radical rise to catch up to the 15 mm per year reqd for a 1.5 m rise by 2100. But then the projection is “highly uncertain”. Worse still, there’s increasing SSL deceleration since about 2004 (in concert with OHC) to the extent that the rise is almost topped out using a 3rd order polynomial trend. I can’t relate to this. Why not?………..You’re an ocean specialist aren’t you? Climate change is humanities greatest challenge. show significant sea-ice volume increasing towards 2010 after drops in 2007 2009 nothing more than natural processes far beyond human activity. 1. Reports on Iceage now CLEARLY show continued record snow levels in the NH particularly NA. 2. Solar cycle 24 is much weaker. The global temperatures ARE dropping to deny it is unphysical.